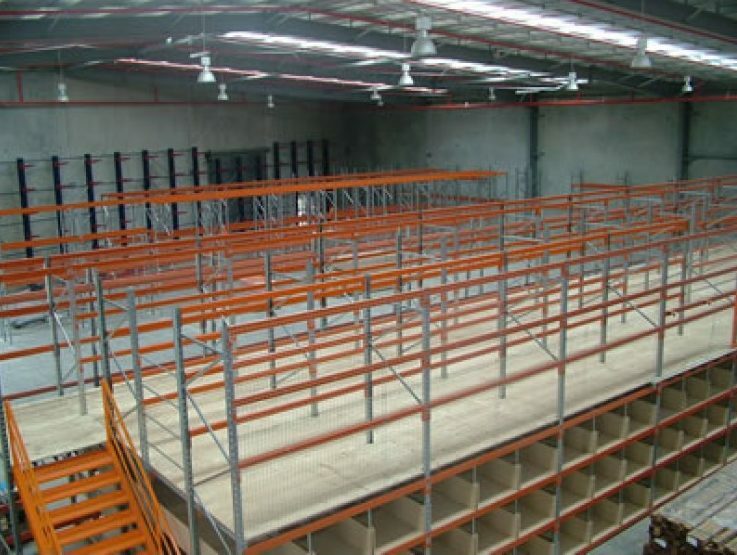 A Mezzanine floor can provide your business the most cost effective solution for the efficient and optimal use of a warehouse space, maximising storage and workspace using the under, side, and top levels, or forming multi-picking levels for your warehouse system. Our experienced team will be able to help you arrange your supply chain for a more efficient flow-through, and thus reduce stock damage. To find out if high-rise or mezzanine storage racks are the solution for your business, contact BHD to arrange a free no-hassle quote. Provides your business with density of storage and stock. Incorporates back-end administration requirements of your warehouse into a multi-level system.